Manager Adrian Ong on its community outreach initiative, Jumble Station, and lending support to single-parent families. Since young, Adrian Ong knew he would devote himself to a charitable cause at some point in his life. 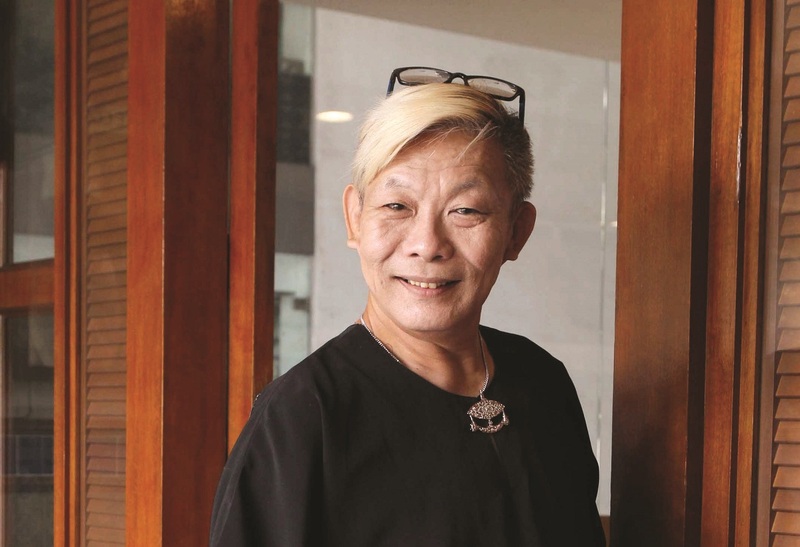 A career in fashion kept him busy until he was introduced to Parents Without Partners by its co-founder and a dear friend, Mary Anne Tan. The brainchild of Tan, Sanice Kam and Lim Lian See, the charitable organisation seeks to alleviate the hardship of single-parent families through financial aid, mentoring and education. Ong has been part of Parents Without Partners since it was set up in 2007, realising his childhood dream of giving back to society. “We help Malaysian single parents — mothers or fathers — who are in dire need of assistance, regardless of race or religion. When I joined the organisation, the hardship faced by these people was more severe than I had expected but there are a lot of good people out there who generously support what we do,” he says, summing up his key takeaway from more than a decade. Ong knew from personal experience that single parents often faced financial difficulties, a challenge that Parents Without Partners helps them overcome through monetary aid and holding sewing and baking classes, so that they can lead self-sufficient lives. However, before aid is directed to the beneficiary, a thorough background check is conducted to ensure that the non-profit organisation’s limited funds are put to good use. Coordinator Jaya B vets the applicants and a visit to their home is a prerequisite before releasing funds to help out with groceries, rent or school fees. The organisation’s flagship programme, Jumble Station, contributes to its coffers through the sales of donated items. “We accept anything that is not torn, tattered or damaged but some people treat us like a rubbish bin,” Ong laments. The condition of some of the items received is so bad that it is a waste of Jumble Station’s time and resources to go through them, he says, adding that he has now enforced a requirement that photographs of the items be sent to Jumble Station first before it agrees to collect them. 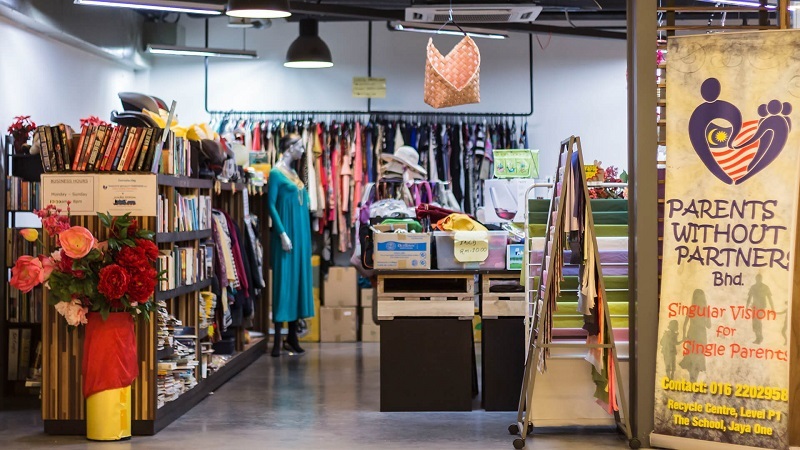 Jumble Station is willing to collect large items from donors’ houses according to its schedule but small items have to be dropped off at its headquarters in Angsana Flats in USJ1, its outlet in Jaya One and its stall at the flea market in Amcorp Mall. Besides serving as a one-stop service touch point — connecting economically disadvantaged single-parent families to various forms of support that they could benefit from — Jumble Station’s headquarters also serves as a reading centre for children from the local community. Volunteers gather there every Sunday to teach the children English from 2pm to 4pm. According to Ong, single parents get to choose from the donated items first before the rest is processed and sold in one of the stores, including the e-store, to raise funds for Parents Without Partners. The newest addition to the e-store, and Ong’s latest passion, is Fashion Dolls, where donated dolls are made over to look good again. “It is about turning trash to cash. Some of the dolls may miss certain parts or their hair may have been cut.” But this is not a problem for Ong. Drawing from his years of experience in fashion, he puts together traditional wear of impeccable quality and intricate designs for the dolls. Each outfit can take up to two weeks to complete and customisation is available. This article first appeared on Nov 12, 2018 in The Edge Malaysia.